WKU and the Community Farmers Market (CFM) have received a grant of $82,194 from the U.S. Department of Agriculture to promote local food for everyone. The project, a partnership between WKU’s Office of Sustainability and CFM, will serve area farmers and consumers by promoting local food access through a “Local Food for Everyone” initiative. 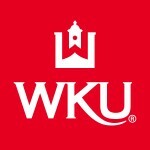 “Our team is happy to receive these USDA funds to support and engage local farmers and ranchers,” said Dr. Martin Stone, Leichhardt Professor of Horticulture in WKU’s Department of Agriculture. “It is not intended to be exclusive to a single market, Bowling Green or Warren County, but will assist all producers in our region of the state. An annual Local Food Expo, such as the upcoming Food Day event on Oct. 24, to connect local food producers to local buying networks including farmers markets, restaurants and larger commercial food networks to increase their exposure and opportunities. The food expo will feature seminars, demonstrations and a trade show. Construction of a mobile food market trailer that will be used by local chefs to travel to schools, markets and community events where they will demonstrate how easy it is to prepare fresh, healthful local foods. Publication of a free semi-annual directory of local food producers, farmers markets and restaurants that use local food. The WKU-CFM project was among more than 130 awarded funds through the USDA’s Farmers Market Promotion Program. 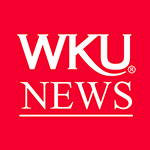 “Many people were involved in the creation and writing of this grant and I want to acknowledge that it was the result of many people from both the local food community, local business community and Western Kentucky University,” Dr. Stone said. The Community Farmers Market is located next to WKU’s Center for Research and Development at Nashville Road and Campbell Lane. The USDA awarded more than $9 million in grants to organizations across 39 states, the District of Columbia and Puerto Rico to initiatives that bolster the connection between agricultural producers and their consumers while improving access to healthy food and strengthening local economies. Since 2006, the USDA program has awarded more than $32 million. FMPP’s mission is to establish, expand and promote farmers markets and direct producer-to-consumer marketing. FMPP is administered by the Agricultural Marketing Service. In 2009, USDA launched the Know Your Farmer, Know Your Food initiative to strengthen the critical connection between farmers and consumers and supports local and regional food systems. Through this initiative, USDA integrates programs and policies that stimulate food- and agriculturally-based community economic development; foster new opportunities for farmers and ranchers; promote locally and regionally produced and processed foods; cultivate healthy eating habits and educated, empowered consumers; expand access to affordable fresh and local food; and demonstrate the connection between food, agriculture, community and the environment. The “Local Food for Everyone” initiative will officially kick off on Oct. 24 with the Food Day event at the WKU Farm. The Food Day celebration, a partnership between the WKU Office of Sustainability, Community Farmers Market and the Barren River District Health Department, is a full day celebration of local, healthy and sustainably produced food. For information about Food Day, visit www.wku.edu/sustainabilty. For information or to get involved in the “Local Food for Everyone” initiative, visit www.communityfarmersmarketbg.com. Contact: Christian Ryan-Downing, (270) 745-2508.